“This case has significance for the people of this country as the 2G scam has attracted the attention of this Court and citizenry since long. It is an unfortunate state of affairs that so far an investigation in all 2G and other allied cases has not been completed in all the issues and allied aspects”, said the Bench. Seeking a status report in two weeks, the court posted the matter for further hearing on April 3. “We direct all the concerned agencies, CBI, Enforcement Directorate etc. in the circumstances, as assured by Shri K.K. Venugopal, A.C. and Attorney General for India, that investigations shall be completed within six months in all the cases and on all the aspects of the matter and no stone shall be left unturned in this regard and all guilty shall be booked but at the same time, certain difficulties/ resistance in the process were pointed by Shri K.K. Venugopal, Attorney General for India. Let those difficulties be placed on record and status report of the various cases be also placed on record in a sealed cover, within a period of two week”. The bench also allowed the plea of senior advocate Anand Grover, who was appointed by the apex court in 2014 as special public prosecution (SPP) for the trial of 2G scam involving former Telecom Minister A Raja and others, for discharge from the case as the trial is over and the special CBI court has pronounced its order acquitting all the accused in the case. “We are of the opinion that Shri Grover was appointed as Special Prosecutor by this Court. We appreciate the services rendered by him. At the same time, since his appointment was confined to the trial court and Government had issued a notification for other courts, appeals, revisional proceedings etc. it was open to the Government to issue fresh notification and in the facts, we allow the application filed by Shri Anand Grover for his discharge from the case”. It upheld the Central government’s decision last month in appointing Additional Solicitor General of India (ASG) Tushar Mehta as the SPP in the place of Grover to handle the appeals in 2G cases. The court dismissed a contempt application filed by NGO petitioner CPIL, through advocate Prashant Bhushan, alleging government for appointing Mehta without permission of this court. Rejecting Bhushan’s argument that Mehta’s appointment is completely overreaching of this court, Justice Mishra said since this court had appointed Grover for trial only and now the 2G case is in the appeal stage and the government can appoint any other lawyer as an SPP. “We find that no contempt is made out since the cases are over before the trial court for which purpose, this Court had appointed Shri Anand Grover as special Public Prosecutor. It cannot be said to be a case of contempt committed by the Government while appointing Shri Tushar Mehta as Public Prosecutor vide aforesaid modified notifications. No case is made out to proceed with the contempt petition and the same is hereby dismissed”. During the course of argument, the bench expressed its displeasure saying despite the monitoring of this court and several orders in the 2G case, the agencies have not yet completed the investigation in all cases. Presently, both CBI and ED are investigating the FIPB clearance for Aircel-Maxis case, arose out of 2G spectrum allocation scam, involving allegedly Karti Chidambaram and his father P Chidambaram who was finance minister during the UPA government. Without taking the name of any individual or any specific case, the bench asked Attorney General (AG) KK Venugopal, who was appearing as amicus appointed by this court earlier in the 2G case, the reasons for delay in completing the investigation in the case. Additional Solicitor General Pinky Anand was also appeared for the Central government. “This is not happy state of affairs. It is shocking that after several years, the investigation is not yet complete. We put a serious question to you. The country is supposed to know and how much time will you take to complete the investigation. The country can’t be kept in dark like this. Is there any individual behind it,” Justice Mishra asked the government counsel. 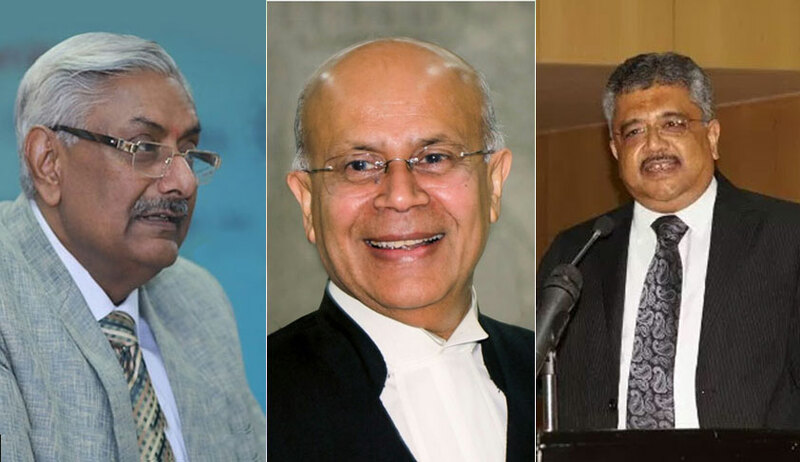 The AG told the bench that in Aircel Maxis case, the Malaysian government is not co-operating as requests were sent for accused Ananda Krishnan, who is based in Malaysia in connection with the investigation. The AG also said he has been appearing in the case as amicus and ASG Pinky Anand would appear for government. The court requested KK Venugopal to appear in this case for the Centre on his official capacity as the AG.